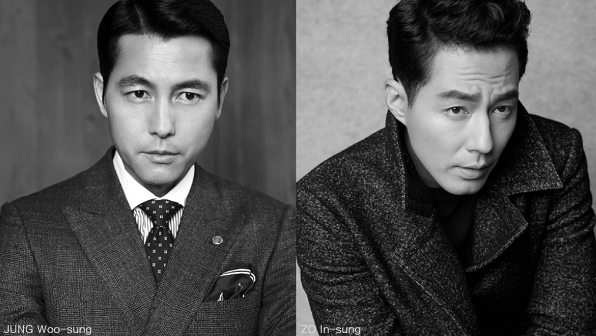 Filming for The King, the new HAN Jae-rim thriller with JUNG Woo-sung and ZO In-sung, kicks off this month. Casting is now complete and joining the top stars are KIM A-joong, BAE Sung-woo, KIM Eui-sung, JUNG Eun-chae and RYU Jun-yeol. ZO, appearing in a film for the first time in seven years, will play PARK Tae-su, a man who becomes a prosecutor and leans on a colleague and gang connections to gain more power. JUNG, who recently appeared in Remember you, is playing his senior and will first be seen again in the thriller Asura. Following a three-year film break, 200 Pounds Beauty (2006) star KIM A-joong will play Tae-su’s wife while BAE Sung-woo, recently seen in Veteran and Inside Men last year among others, will play his university senior and new star RYU Jun-yeol plays his junior work colleague. Rounding out the cast are JUNG Eun-chae of Nobody’s Daughter Haewon (2013) and Office (2015) actor KIM Eui-sung. The King is the fourth film from The Face Reader (2013) director HAN Jae-rim and marks his first collaboration with studio Next Entertainment World (N.E.W.). WOOJOO FILM is handling the production, following their work last year on ROH Deok's thriller The Exclusive : Beat the Devil's Tattoo.